There are 3 main types of rugs on the market today, hand knotted, machine made and tufted. Machine made rugs are often called “Oriental rugs” on the internet. Tufted rugs are often marketed as being “hand made”. They are not. The rug market is overwhelming and confusing to almost everyone not in the rug business. 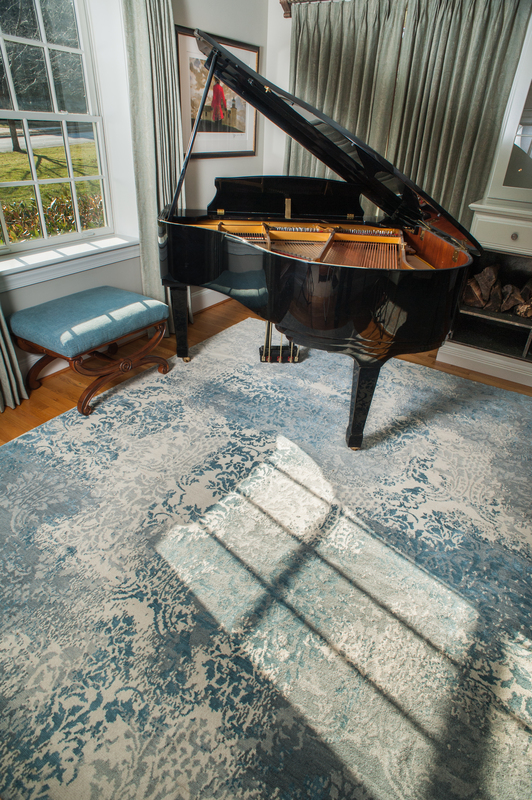 In our expert opinion the most inexpensive hand knotted wool rug will always be better than the most expensive machine made or tufted rug. Our goal will always be to educate our customers so they can make an informed and educated decision and not waste any money on a rug purchase. The other two main types of rugs being sold today are machine made and tufted. Machine made rugs are made on a machine where the wool or synthetic fibers are attached into a plastic screen. The result is a static design almost like a Xerox copy of a painting. You can always tell a machine made rug by looking at the uniform computer created grid on the back. As machine made rugs are walked on they will start to lose the static computer design and start to look “off” to the eye. If they are made from a synthetic fiber they really can’t be effectively cleaned and soon look permanently dirty. Tufted rugs are made by punching or tufting wool into a latex screen with an electric gun. Then glue is filled into the screen and canvas is set onto the back. You can always tell a tufted rug by the canvas backing. Most rugs sold on the internet today are tufted rugs. They were invented about 20 years ago to provide the look of an Oriental rug at a low price. Although their look is a little more organic than a machine made, the result is the same. As they are walked on they will lose shape and soon the eye will realize that something is wrong. What do you do when this happens to a machine made or tufted rug? You roll it up and bring it to the dump. A hand knotted rug will almost always have a trade in value if it is taken care of. One year or twenty years after you buy it, it will have a value. If it is made with vegetal dyes most reputable rug stores will pay cash for it. Once you purchase a machine made or tufted rug it is worth “zero point zero”. That is why Harry King firmly believes that the most inexpensive hand knotted rug is worth more than the most expensive machine made or tufted rug.